Welcome to Makers & Their Cats, a Q&A series dedicated to highlighting talented makers and fellow cat people. Our very first Maker is Elise Birnbaum of OATMEAL, a Pittsburgh-based ceramicist who creates a mix of functional and wearable art. We met Elise through Instagram a couple years ago and fell in love with her earthy, neutral color palette and the mix of raw textures and glaze in her work. She also happens to be the maker behind our new collaborative collection of stoneware bowls. 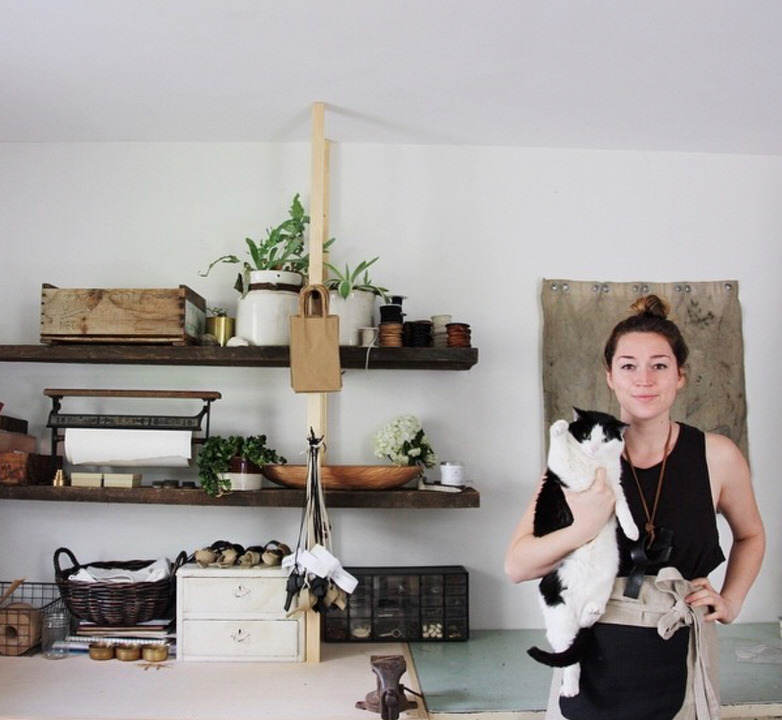 While familiar with her work, we were curious to know a bit more about how she got started in ceramics, and of course, her cat. Siamese Social Club: How long have you been making ceramics and how did you get started? Elise: I have been working in ceramics for about 3 years, but have been a maker my whole life. While working a job in retail display, I had the itch to carve my own creative path and started taking classes - ceramics was one of them. A few years, a kiln and hundreds of pound of clay later and it's my full time job. How many cats do you have and what are their names? Have you ever made her anything out of clay before? She actually eats out of the first bowl I ever made!!! it's probably time for an upgrade! Does she ever get to visit your studio? My studio is in my house, and I actually have a special little spot for Zooey, a dog free nook with a cat quilt with cats on it my mom made. She is my desk buddy when it's computer/order fulfillment time. 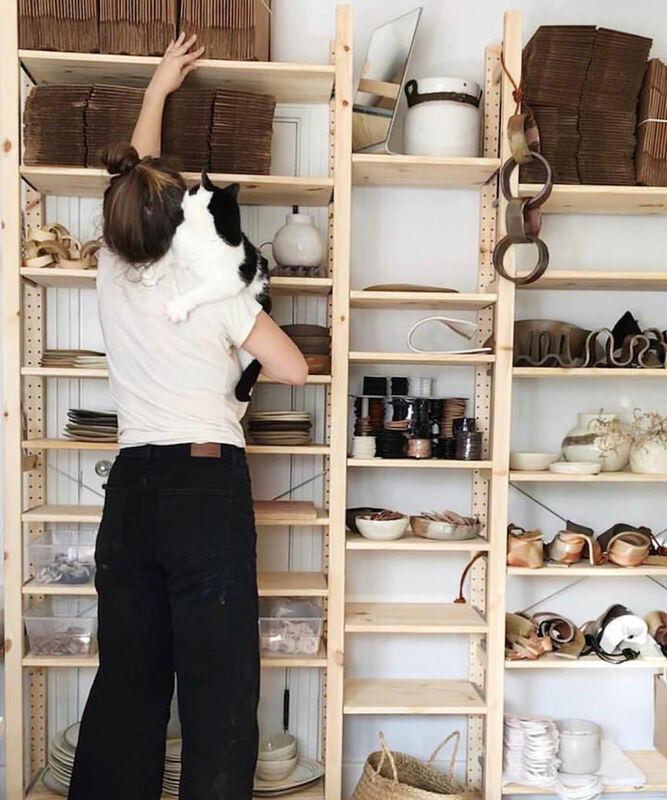 Would cats make good ceramicists? Zooey had definitely rubbed some texture into the side of a piece or two... but other than that I'm not so sure. They take too many naps probably. Apr 2, 2016 It's our Birthday!